Take a tour through the years of Jessica Adams on the world wide web. 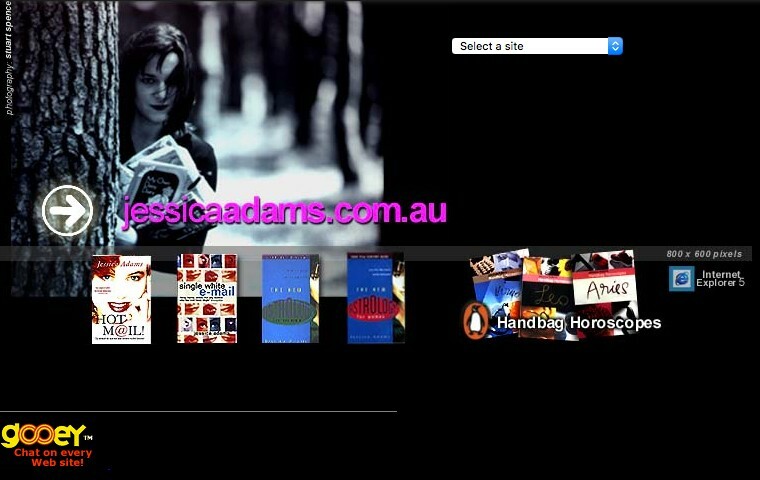 Jessica’s first website Rising Signs is launched in Australia months after the world wide web was born. 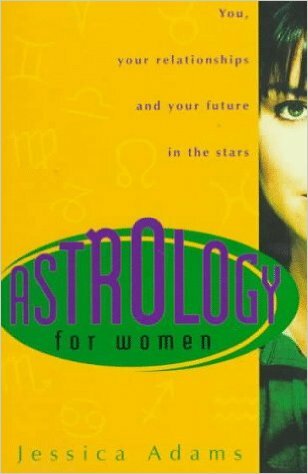 Jessica’s first astrology book Astrology for Women is released in Australia and the UK. Fiction release Single White E-Mail and astrology series Handbag Horoscopes. Later the same year the first Girls’ Night In book launches and becomes a multi-million dollar bestseller supporting the War Child charity. The first royalty cheque for £200K is received from publisher Harpercollins. 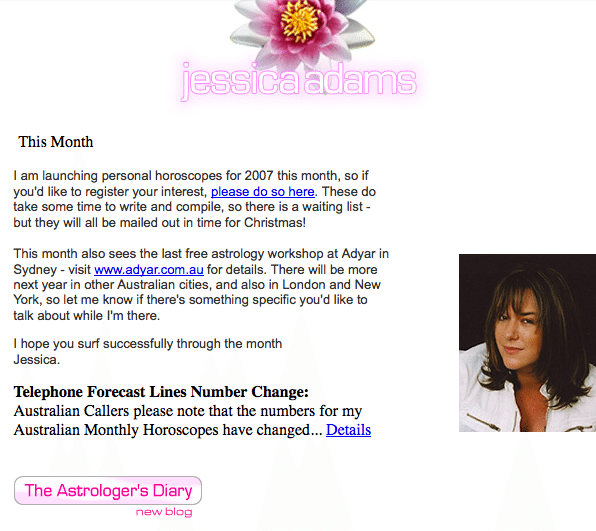 Jessica published her In The Stars monthly horoscope column online at jessicaadams.com.au. Jessica also wrote a childrens horoscope for FoxKids and Scape.com. Visitors to the site could also send Astrological e-cards. 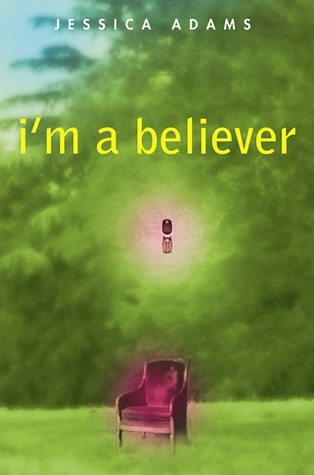 Along with the novel I’m a Believer, Jessica co-edited the third book in the Girls’ Night In series. With the name Big Night Out the book includes contributions and recipes from Gordon Ramsay, Jamie Oliver, Candice Bushnell, Joan Collins and many more. 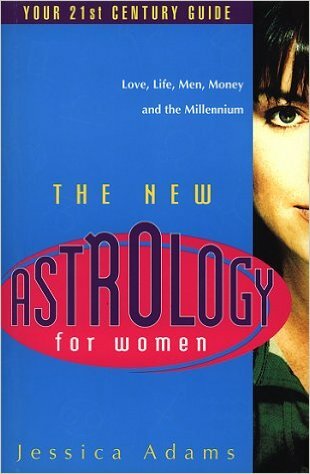 Jessica’s bestselling Astrology book New Astrology For Women is updated and re-released. Jessica released Fantasy Futures in February. 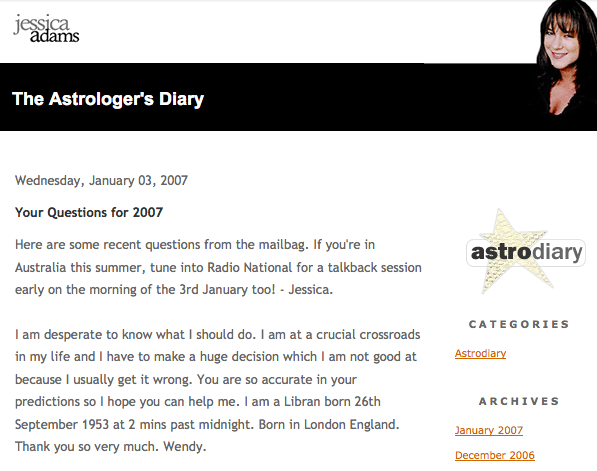 Jessica’s first blog, The Astrologer’s Diary was launched in November 2004. Much later this would be rolled into the weekly horoscope column on her website. Unlike the blogs of today, it ran on it’s own software called bpblog by Betaparticle. 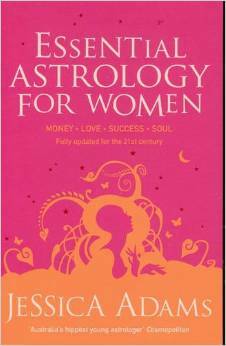 Essential Astrology for Women is updated and re-released in England, Australia, Hong Kong and the Czech Republic. Jessica’s astrology book Astrolove is released in Australia, Japan and the UK. Weekly Horoscope columns first appear on the website as seen in the Sunday Star Times in New Zealand. Jessica launches her first podcast Astrology for Beginners on iTunes. Daily forecasts appear on Cosmopolitan for the first time in the UK. Jessica’s 20 20 Vision astrology book is released in Australia and UK. Nearly 300,000 web visitors this year as we start recording statistics with Google Analytics for the first time. Website visits surpass 400,000 and the site wins a Top 10 website award from Hitwise. Girls’ Night In 10th Anniversary Collection launched. The series has raised $3M for the War Child charity since 2000. jessicaadams.com relaunches on WordPress offering audiobooks, and a new monthly Psychic Astrology podcast. 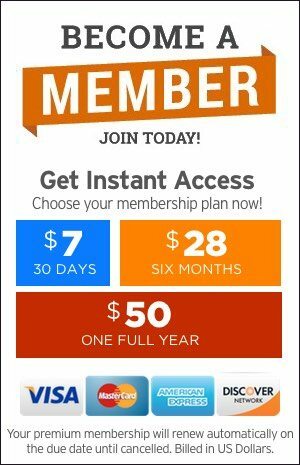 Website visitors exceed 600,000. The Holiday Goddess Handbag Guides are released on iTunes as four separate eBooks for Apple devices. 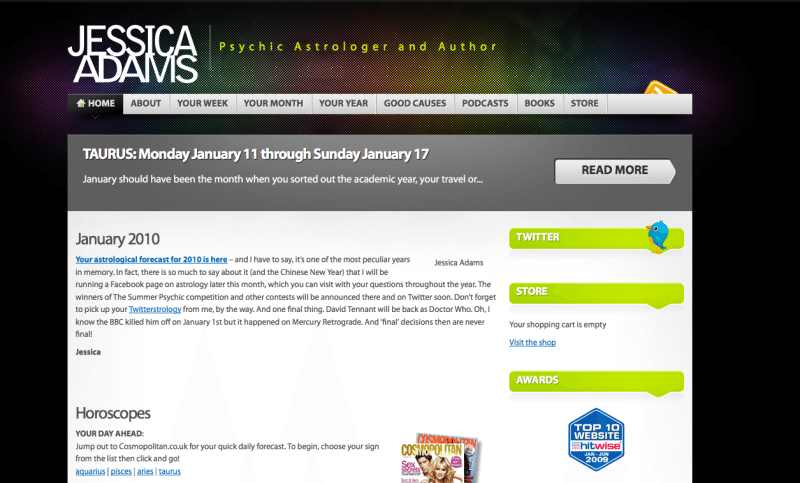 Website visitors to jessicaadams.com surpass 1 million for the first time. 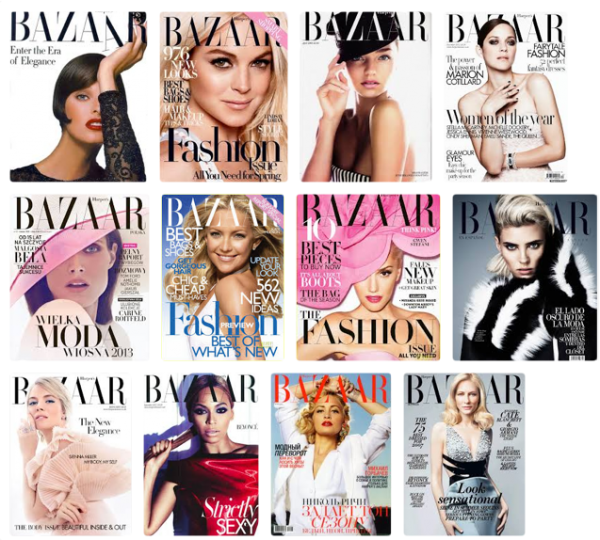 Birthday Horoscopes are first featured in Harper’s Bazaar. Jessica speaks at The Astrological Lodge of London on Asteroids. Jessica speaks to readers through regular online events at Get The Gloss. For the first time Daily Horoscopes are published on jessicaadams.com. 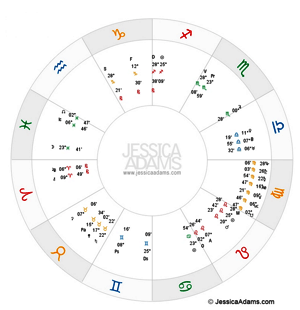 Jessica launches astrology features for Premium members, including The Astrology Oracle and a Chinese horoscopes column called Chinascopes. 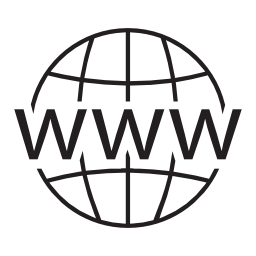 Over 3.7Million visits to the website were recorded during the year. Jessica supports Australian music history with the launch of the Australian Music Museum Project (AMMP) website. Birthday Horoscopes return to the jessicaadams.com site. 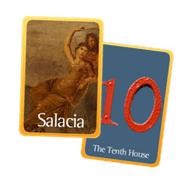 The Astrology Oracle is updated with in-depth meanings. A Fortune Cookie Oracle based on the i-Ching is launched. Birth Chart and Ephemeris features allow members to calculate their birth chart with all 34 planets and asteroids on the site. Current Planetary Positions allows anyone to see where the planets are at any given point in time. Jessica produces a Horoscope Journal for members to print and record their updates, revisited every 3 months. More than 5.7 million visitors to the website. 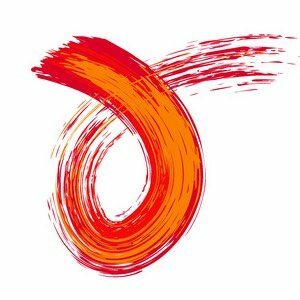 JessicaAdams.com celebrates 20 years on the world wide web and unique website visits surpass 6.8 million. To celebrate 2020 Astrology: Your Five Year Astrology Guide is released for free download on the website. In the 21st year, unique visits to JessicaAdams.com surpases 7.4 million with more than 16 million page views. In September 2017, Alexa reports the site amongst the Top 20 Astrology websites in the world based on unique web traffic. Amongst Jessica Adams’ true astrology predictions made for 2017 were UK election wins and losses, a female Dr Who, and US tax reform.